Ghandilva the Elder of Baran Village was in a dilemma. The Village home to five hundred households. Baran Village had once been a peaceful village in the southern province of Rosenheim Kingdom. It has been invaded by lizardmen as of late. The villagers had dispersed, while some of the women had been taken captive. “I’d like to hear where this seed comes from,” Weed said. Ghandilva’s colorless eyes shone with the light of hope. “Darius-nim declined my request… because all I could offer in return was this seed,” Ghandilva said. Weed’s eyes casually turned to Ghandilva’s clenched fist. Baran was a peaceful and lively village till the Eastern Border was ravaged by hideous monsters.When the lizardmen raided the village, Ghandilva the Elder didn’t have enough time to save all his people. He escaped, taking only the young. The adults decided to stay behind to stall for time. A quest with D level difficulty. It was equal to the Punitive Force quest. Weed had an A level quest that was to succeed Zahab’s will, but it was still far beyond his capabilities. To his dismay, however, it took up valuable space in the quest window. This quest was more difficult than anything that Weed had ever done. But he read the quest’s descriptions over and over, skipping the difficulty level part; parents in distress. The memory of Weed’s parents ceased when he was eight years old. Since then he could summon only the darkest hours of his life when the loan sharks had bullied him. When Ghandilva left, Weed’s teammates came over. His teammates reasoned that there should have been some logic behind Weed’s insistence, so they walked to Ghandilva and asked for the quest, which he eagerly gave them. Your party accepted the quest. The rest of Weed’s party accepted the quest, but they wondered what the whole point was. They agreed with Weed. Their levels were far lower than those of Darius and his minions. They were originally interested in search and destroy missions that would take place after the troops drove the lizardmen out of town, so the large-scale battle meant little to them. Sandwiched amid two hundred other users at higher levels, Weed’s party was, at best, more of a liability. “I have a hunch that we’d be better off switching to this quest,” Weed said. “But the difficulty level is D… Don’t you think it’s too difficult for the five of us?” Surka asked. “Don’t worry. I have a plan,” Weed said. “Okay, Weed-nim. We’re with you,” Pale said. Weed decided to accept Ghandilva’s quest, and with his party, broke away from the ranks. Soon, two men came over to the deserters. “Commander! Where are you going?” Dale asked. “We are getting closer to destroy the lizardmen,” Weed said. Becker was startled by Weed’s statement. Dale looked disbelieving. Dale sized up Weed’s party. He concluded that they appeared weaker than he. He banged his chest and offered his service. “Commander, we want to support you in the mission” Dale said. “Yes, Sir. Our commander will allow us to join you when he hears of your heroic act” Becker said. There are some unjustifiable events that are definitely rejected by soldiers, regardless of their loyalty, such as a perfidious mutiny or the mass killing of innocent villagers. Charisma and good relationships cannot motivate them unless it is supported by the leader’s fame or a just cause. Weed and his teammates deserting from the punitive force of three hundred users and two hundred soldiers could go unnoticed, but the disappearance of a great number of soldiers would surely reach Darius’ ears and move him to find out why. He was concentrating on the ranger’s passive skills, such as Multiple Shot and Penetration. It was the most popular tech path up to the second transformation of the ranger class. Meanwhile Weed, whose class was sculptor, superseded others in sword mastery, thanks to his sculpture mastery and Zahab’s Engraving Knife. “Yes, I think the lizardmen crossed the Eastern border and camped here,” Weed answered shortly, studying the landscape. The valley was wider than you would think. Finally, they encountered lizardmen warriors. The reptiles resembled giant lizards on two feet with slippery, greenish skin. No less than level sixty. “I’ll just use the same trick as I did on the goblins,” he said to himself. The lizardmen’s levels were ten higher than those of the goblins, but they were handicapped by living in the field since monsters in lairs, or at night, were stronger by half. However, those lizardmen were not stronger than goblins. You destroy an enemy’s weapon by improving attack power five times temporarily. You aim at an enemy’s vulnerable spot in a dance-like motion. Weed’s mana totaled 940 points thanks to the Emperor’s Tablets. He could execute the skill Triple three times, Backstab twice, and Power Break only once. He labeled the footstep from the skill book as Seven Celestial Footstep. It alone consumed 100 MPs. Fortunately it lasted at least a minute once it was activated. “Wa—wait a sec. Can we really just get into their stronghold?” Pale asked. “Yes, why not?” Weed said. “But this quest has a difficulty level D…” Pale said. “For the difficulty level D, at least eight hundred lizardmen are encamped over there. Am I correct?” Weed said. “What’s this? Isn’t it a potion?” Romuna asked. “This is a drink I brewed right before we left the Citadel. I bought empty flasks from a pharmacy at a cheap price,” Weed said. “Why are you giving them out now–” Surka said. “Drink it first, and you’ll see,” Weed said. Weed’s teammates emptied the flasks and looked stunned. “Can’t believe this brandy did…” Irene said. “It’s not brewed for long enough, so the effect is limited. The upshot is, though, you can drink it with meals without hangovers,” Weed said. He could meet distinguished figures in key positions that he would have been denied otherwise, and easily win high-risk, high-return quests. The troops looked at the scene from over the hill. There wasn’t a single monster to be seen in the village, but they were yet to relax. Darius’ eyes gleamed icily. Obviously, the lizardmen, outnumbering his troops, were inducing them to a full-scale melee. On the other hand, he also welcomed it. The Rosenheim soldiers who were forming defensive circles distracted and lured lizardmen into a honeycomb formation. The five lizardmen warriors charged toward him, brandishing their blades. If you heard about it, you would think it was a simple thing to do. Then, you would wonder why no one else did the same thing. With higher stats, it’s much easier to hunt monsters. Calmly take another look. What Weed had been through one-hundred-twenty-days-worth of exercise; equaled to an average athlete. From a different angle, it’s equivalent to working out for an hour every day in a fitness club for two years without skipping anything. That Weed finished the course in only one month exemplifies how persevering he was. “Eh, well, Weed-nim,” Surka said. “Don’t worry, Surka-nim. If any of us goes down, I’ll be the first. I will attract their anger as I used to,” Weed said confidently. “Weed-nim, you’re a sculptor. Oh, by the way, what’s your level?” Surka asked. “Seven Celestial Footstep!” Weed cried. “First form, Triple!” Weed cried. Weed moved dizzyingly and swung his sword. Three silhouettes struck the lower, middle and top part of the lizardman’s body at the same time. The lizardmen were stronger than goblins. Their body had the flexibility of reptiles, and high speed. Their attack power wasn’t impressive, but what was terrifying was their greenish skin. The thick skin had a spectacular defense of its own, and they were even wearing plundered armor that they had looted from other races, which made them difficult to deal with. Damaged by Weed’s skill, the lizardman cried heavily in pain. It lost 80% of its life to near death. Mana consumption for Power Shot, Pale the ranger’s signature skill, was twenty-five points. Compared to it, Weed’s skills were mana drains. I don’t know what skill it was, but it was awesome, anyway, Surka thought. ince the enemy had a higher level than Surka, she used her best skill to begin with. It was a basic –yet the most popular — combat skill for monks. Defensive gears made of non-metals are typically weak in defense unless they are made of special materials or enchanted with a permanent spell. Weed’s sword, enveloped in a translucent flash, sailed toward one of the lizardmen once again. It was another one of Weed’s signature skills that was aimed at a vital spot with great timing! The engraving knife technique, ignoring the enemy’s defense, dealt great damage to the lizardman. The side effect of the spell was to push the enemy back temporarily – technically speaking, ‘bashing’ – giving leaders a precious break to catch their breath. “Fire arrow!”Pale held the lizardmen in check with arrows. His arrows contained the element of fire that was fatal to them. Irene quickly regenerated Weed’s diminished life. Then, she cast a spell of holy blessing. There are countless types of spells designed to boost various attributes. A shaman’s voodoo art speeds up and increases strength and dexterity temporarily. A holy knight’s aura over an entire party is deemed effective, too. But it is ultimately a priest or priestess’s blessing that beats all in the field of buffs. When the amount of usable mana increased, in accordance with level ups, and the mana consumption for sword-related skills dropped, thanks to his better expertise rating in sword mastery and handicraft skill, the Imperial Formless Sword Techniques would shine. However, in the eyes of Weed’s teammates, he just looked reckless. 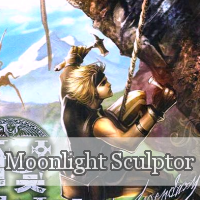 They didn’t know that his level was sixty-eight, and they had a prejudice against the sculptor class, thinking he was weaker than his counterparts. He smiled at Irene’s buffs as his strength had risen by twenty percent, and he felt clad in comfort. That’s what I love about party plays.Priests and priestesses are respected and valued everywhere for their distinct ability. Regardless of their expertise rating in skills, any party is eager to invite them. The bandage skill that Weed had learned only worked between battles, incomparable to a priestess’s Healing Hand right on the spot. Weed never turned his back on monsters coming to get him – because they were those lovely EXPs! Each step was so much fun, and the goal was always worth every drop of his sweat and blood. Since his expertise rating in many combat skills was virtually close to zero, he often failed to activate the skill. When the sword techniques didn’t arrive, he was stunned into immobility for some seconds. “You leveled up so much. I don’t think you need us,” Romuna asked. “I only have two hundred and thirty mana points total. This means I can’t even try it once. Then, Weed-nim, tell us how much mana you have so you can use it three times?” Pale asked in disbelief. “A little over nine hundred,” Weed said. Romuna the mage and Irene the priestess had around five hundred mana points. “We heard some guy was making statues and selling them downtown. We wanted to buy some, but we were short of cash,” Irene said. “I’d like to have one if you don’t mind,” Pale said.Weed promised to make a statue for every teammate in his party. Romuna was responsible for eliminating one or two lizardmen in the distance if there were more than the others could handle. Weed didn’t need to try to give the final blow to a dying enemy. Had he stood idly, he would have received a minimum share of EXPs due to his small contribution, but that wouldn’t be like Weed. “Wow! These reptiles are richer than they look, aren’t they?” Surka exclaimed at the sight of the items dropped by the slain lizardmen. At Surka’s words, everyone looked at each other, but the mana ring ended up in Irene’s possession since they agreed that the battles would be safer as the priestess had more mana to support the others.